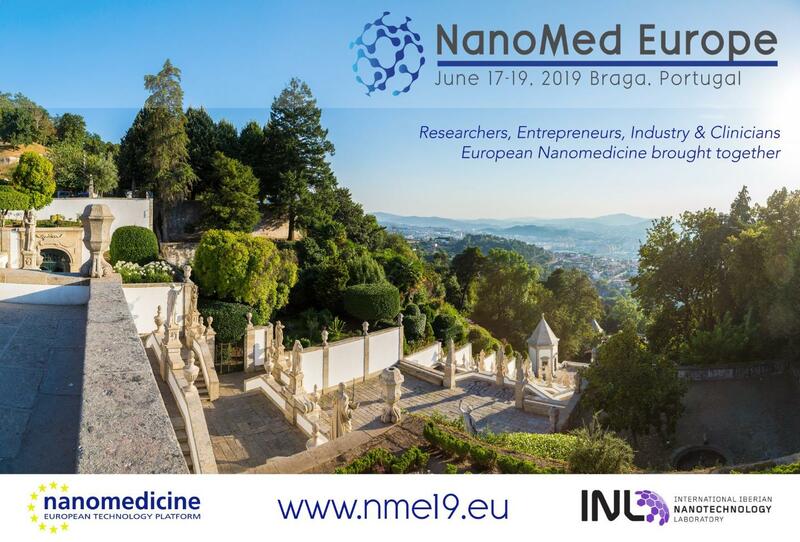 Nanomed Europe 2019 (www.nme19.eu) #NME19 is a new and unique conference for scientists, entrepreneurs, industry and clinicians, developing great medical applications based on nanotechnology and emerging MedTech. The event will take place on 17 – 19 June 2019, in Braga, Portugal. NME19 is co-organized by the ETPN, European Technology Platform on Nanomedicine and INL, the International Iberian Nanotechnology Laboratory. Nanomed Europe 2019 (#NME19) is born from the merge of the 14th annual event of the European Technology Platform in Nanomedicine (ETPN) and of the European Scientific conference EuroNanoMed (ENM). Together, these two major events result in a new and unique conference for the European Nanomedicine community, bringing together scientists, technology providers, entrepreneurs, industry and clinicians. #NME19 is expected to be the largest event dedicated to Nanomedicine in Europe in 2019, bringing together the very best of Nanotechnologies for healthcare and other Emerging Medical Technologies. AMIRES is looking forward to taking part in this inagural event and finding out about the innovations in the field of nanomedicine. Working Group Nanotechnologies for Regenerative Medicine (WG RegMed) of the European Technology Platform for Nanomedicine (ETPN) in partnership with AMIRES launched a series of webinars, presenting recent advancement of ETPN members in the field of nanotechnologies for regenerative medicine. These webinars aims to improve know how exchange, identification of key European experts and a wider networking among ETPN members (e.g. for collaborative projects). It is also intended to keep webinars open for ETPN non-members, particularly for industrial companies, to facilitate cooperation between researchers and enterprises (mainly SMEs). Please see below the list of past and upcoming webinars and their details (including recordings of the past webinars).